Manuscript, copperplate engraving and letterpress on handmade paper with various watermarks. In contemporary cardboard binding covered with brown paste paper. The same with renewed dark brown linen spine including the original title of the spine. First edition of the first and only volume of this comprehensive treatise on copperplate engraving and etching. 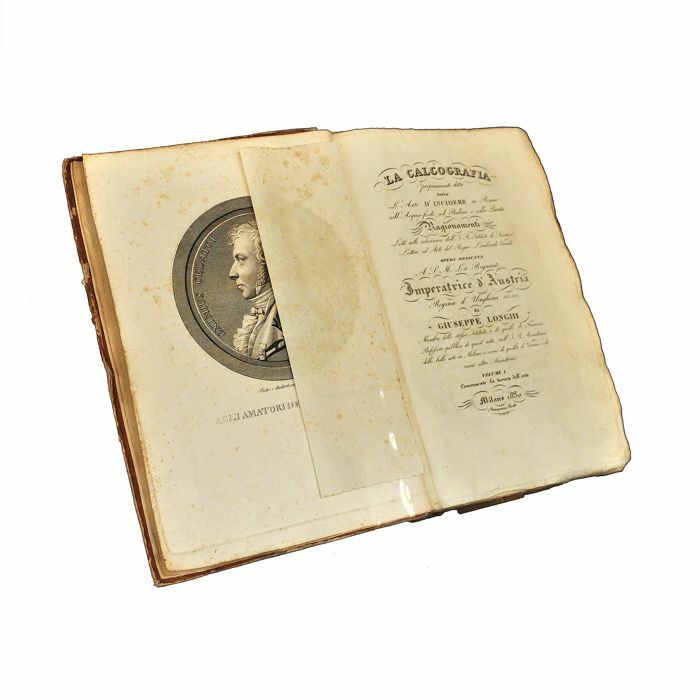 Contents: Giuseppe Longhi (1766-1831), one of the most renowned engravers and etchers of his time, deals with the origins, handicraft difficulties and applicability of these gravure printing techniques. 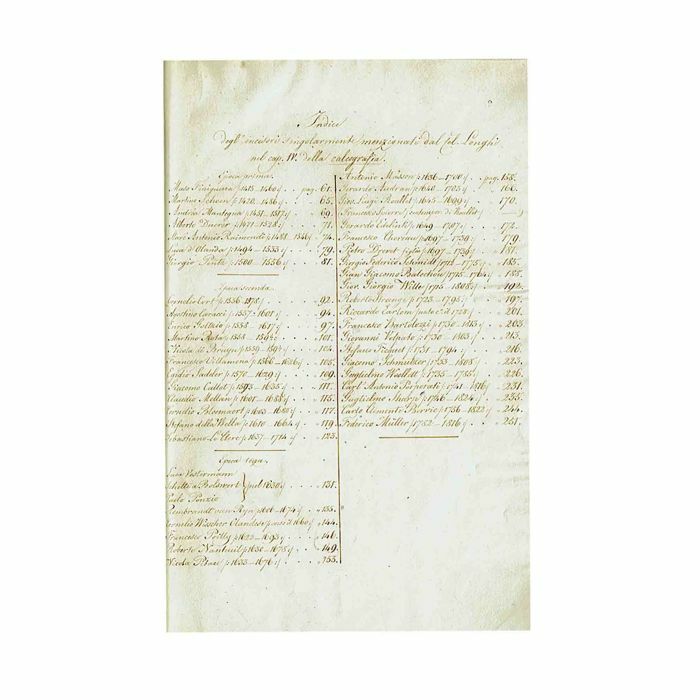 Bio-bibliographical sketches of important Italian, but also German, English, French and Dutch artists of the 15th to 18th centuries, who also appeared as engravers, are very commendable. Unica: The work published shortly before the master's death is followed by a printed list of Longhi engravings, which contains numerous handwritten price quotations dated 28 March 1823, a printed list of names of Longhi's course graduates, and a handwritten, beautifully calligraphed list of the engravers mentioned in the text with dates of life, arranged by page numbers. Illustration: In addition to the portrait of Longhi's student Pietro Anderloni drawn and engraved in copper, and the title calligraphed and engraved by Prada with Ornament. 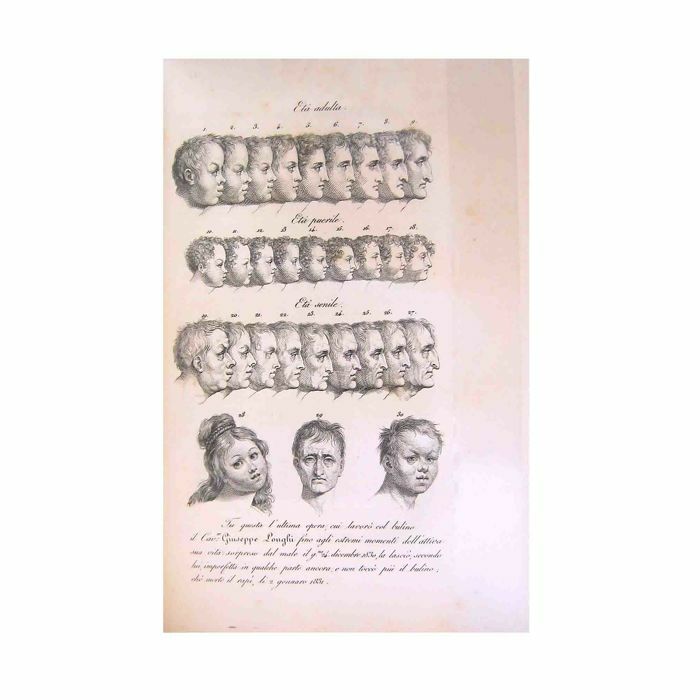 The third copper plate is Longhi's last work during his lifetime, which deals with facial studies of the three human ages (youth, adulthood and age). 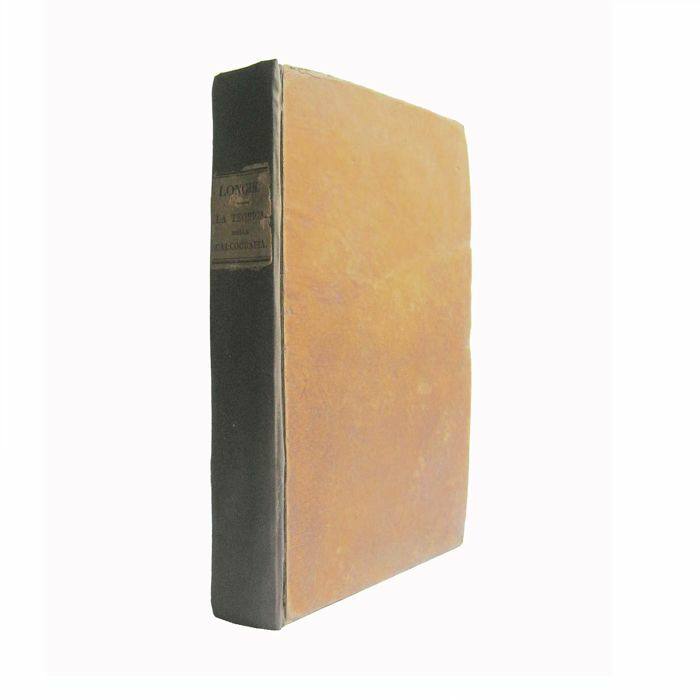 Condition: Spine expertly renewed with brown linen, including the original spine title. Covers slightly rubbed, corners and edges restored. Overall very clean, barely foxed copy of this rare and masterfully printed title.